Billing is an important part of the value chain. Good Sign enables Com4 to deliver a customer driven solution with high QoS. Com4 had an understanding of the M2M and IoT industry requirements, but they were missing a flexible billing partner. Today Com4 has a market leading selection in communication, strong technical competence, and scalable support systems. They are growing strongly in the European IoT / M2M market with GoodSign enabling their demanding business model. Along with Com4, Atea is applying new technology to make life easier for up to 1000000 electricity customers. This is a great example of how the digital revolution simplifies, renews and improves functions in society. We are proud of contributing applicable technology that is beneficial to so many, says the CEO of Atea, Michael Jacobs. Com4 AS is a communications provider headquartered in Oslo, Norway and one of Europe's leading operators in machine-to-machine (M2M) communications. They focus on mobile data communication for professional users. The company operates an extensive network and produces mobile services for a variety of industries. Com4 is not a regular operator. Some of the attributes that separate them from other companies are their flexibility, technical competence, unique roaming propositions and adapted price plans. They even have M2M adapted offerings, for example a SIM without operator lock-in meaning you can swap operator without the need to change your SIM card. Com4 needed a flexible billing partner to be able to make these innovate communication offerings happen for the M2M and IoT industry. They had an understanding of the industry requirements, but a flexible partner capable to offer what they actually required, was missing. "We needed a flexible billing partner that could cope with our demanding requirements and realize our customer driven strategy." Good Sign’s solutions grow with operators by supporting their quick time-to-market processes and enabling the development of competitive advantage. Com4 needed an automation tool that would cover the whole customer life cycle, with the flexibility to deliver a tailored customer set-up for large accounts when needed. With Good Sign’s solution, they have full support in handling unique customer cases and creating value. Billing is an important part of the value chain, and together with the rest of Com4’s toolbox it enables them to deliver a customer driven solution with high QoS. 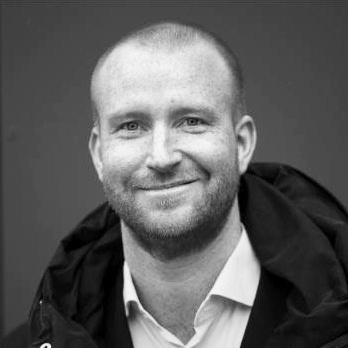 “Good Sign’s solution supports us in delivering the Com4 experience.” says Kristian Sølvberg, CEO of Com4. The amazing things COM4 offers to their customers require efficient system running on the back end. Good Sign’s modern, versatile solution enables their business model by supporting multiple networks, products and services ranging from basic to complex. Com4 is collaborating closely with Good Sign in order to be in the forefront of the development when it comes to billing and customer portals. Good Sign’s flexibility and industry understanding were important factors when Com4 was selecting a new billing vendor back in 2012. Com4 is addressing the growing IoT / M2M market. With a market leading selection in communication, strong technical competence, and scalable support systems Com4 is positioned to continue growing strongly in the European market. GoodSign is one of Com4’s key partners and the companies will continue to innovate business support systems together in order to maintain Com4’s leading role in the market. Let's have an online meeting and see how you can benefit from similar solutions.